I have blossoms on my daisies in the backyard … the flowers should open in a few days. If ever the rain will stop so the sunshine can do her thing!! absolutely adore this... just perfect!!! 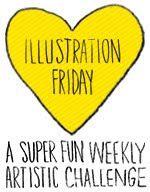 HI - I don't see illustrator listed on your blog.bio. Did I miss it? LOVE your header page. I want to see the stories that go with the pictures! Very nice! Yes these flowers are sunshine in their own right! Fresh and summery. These are quite appealing to look at. Great daisies. I wish it would stop raining here in the UK too. Roll on Summer. How charming! 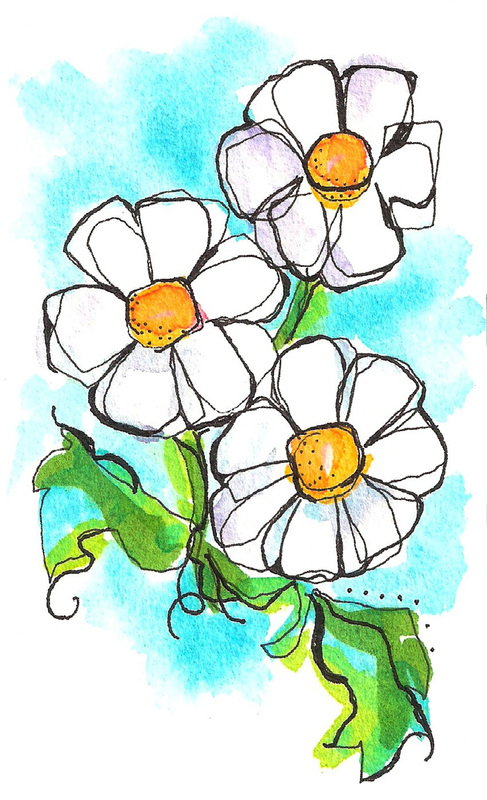 Daisies are so friendly, and you've caught that joyful feeling.